Built by the Viet Cong from the 40s as protection against air raids throughout the Indochina conflict, the Cu Chi Tunnels stretch underground for over 155 miles. It ranges from the Area of Ho Chi Minh City to Cu Chi. This network of underground passages later provided vital access to control over the rural areas surrounding the city throughout the Vietnam War. And it was the living quarters, hospitals, booby traps, and storage facilities for the <ahref="https://en.wikipedia.org/wiki/Viet_Cong">Viet Cong. Cu Chi Tunnels is unique? A visit to what remains of the Cu Chi tunnels gives a poignant reminder of the hardships of war. Today, two areas are open to visitors, both with tunnels which have been enlarged in size. They are still a tight match, but this adds to the experience of discovering this hidden site. Moreover, it must have been like for the soldiers residing and functioning here. Therefore, most visitors come in the tunnels on a half or full day trip from Ho Chi Minh City. In addition, it can be along with a cruise along the Mekong Delta or the Saigon River. This site is a must for history buffs. Touring through the tunnels involves hunching over to walk underground. If you’re prone to claustrophobia, consider giving this one a pass. Please wear comfortable walking shoes and have the preparation for uneven surfaces. Don't forget to bring insect repellent to fend off mosquitoes. How to Get to the Cu Chi Tunnels? It is about 30 miles or 50km from Ho Chi Minh city.Normally, there is a private tour daily to visit Cu Chi tunnels in morning or afternoon. And you should have a visit independently or private tour to Cu Chi tunnel with your guide to get deeply this site and its history. 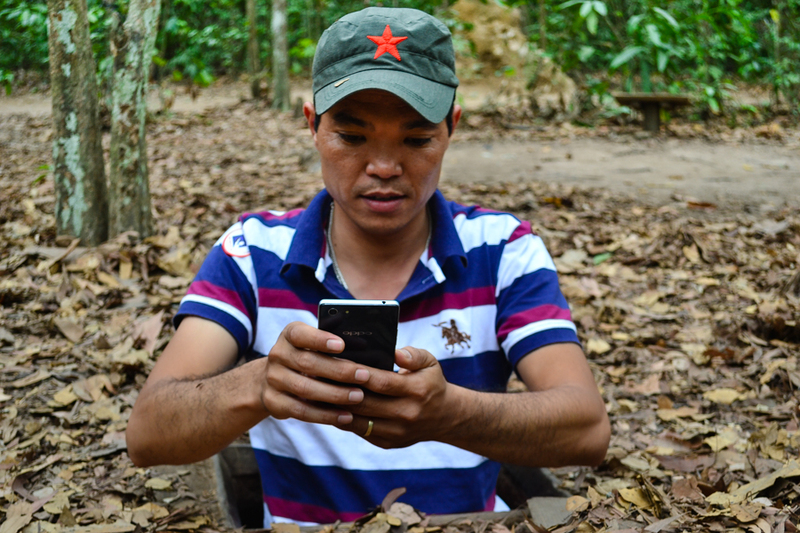 Your explore Vietnam tours with Cu Chi tunnels is needed. 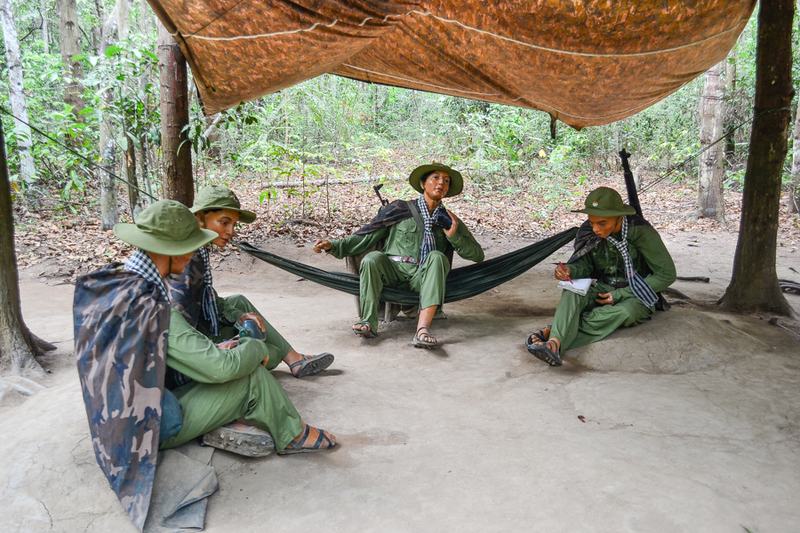 How is the weather in Cu Chi Tunnels? Dry season (December to April) is the hottest time of year, with an average temperature of 82­° F (28­° C). With higher temperatures comes lower humidity and an escape from the usual stickiness of this tropical climate (and fewer bugs). Monsoon season (May to November) brings higher humidity and daily rains, however, it’s also slightly cooler. 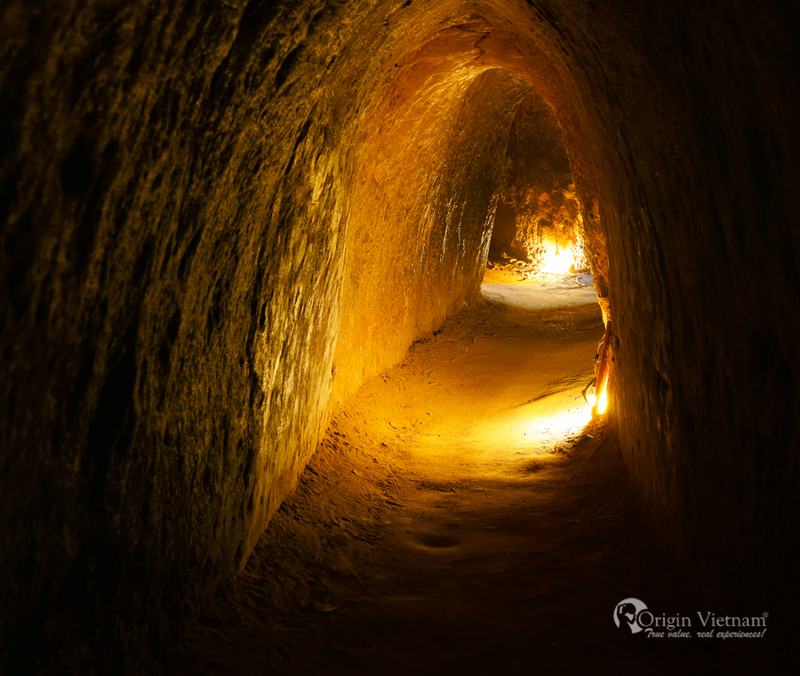 There are two regions of the Cu Chi Tunnels accessible for tours. Most visit Ben Dinh, the popular section. However, iIt is frequently crowded, and the shooting range is close. Therefore, it could be loud. The second gate, Ben Duoc, is about half a hour even further away from Ho Chi Minh City. However, it also has the Ben Duoc Martyr's Memorial Temple on its own grounds, which is encompassed by silent gardens.